The Rock is taking on mother nature in this Summer's San Andreas, and he has shared with us a new poster, showing off the destruction the movie has in store for us. Check it out below. Coming from director Brad Peyton, this promises some big, old fashioned disaster movie thrills, and for that alone, I can't wait for this. Having The Rock in there too, only helps matters. 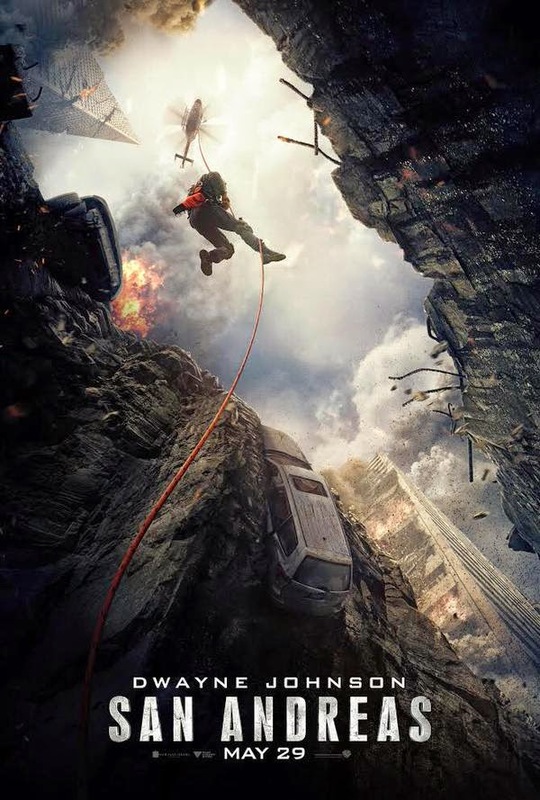 Synopsis: After the infamous San Andreas Fault finally gives, triggering a magnitude 9 earthquake in California, a search and rescue helicopter pilot, and his estranged wife make their way together from Los Angeles to San Francisco to save their only daughter. But their treacherous journey north is only the beginning, and when they think the worst may be over…it’s just getting started.